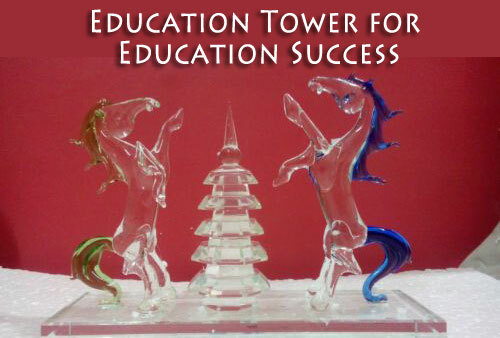 Education Tower is commonly known as Pagoda Tower in Feng Shui. 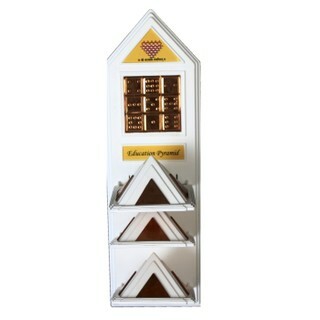 There is also a Pyramid tower for Education used based on Vastu Principals. It also has the similar results. Pagoda Tower addresses the most concerning area and worry of every parent, Education of Children. Placement of a Pagoda Tower on the study table of the children helps to bring advancement in education and knowledge for the kids. Let me share the experience of one of my client. 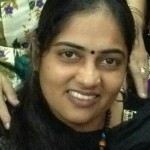 Shobha, my old neighbour, has 2 kids. She had approached me for her son, Deepesh, appearing in 10th in 2013. She was stressed with regards to the way Deepesh was preparing for his SSC and his performance in the board exams. I suggested her to get a Pagoda Tower for Deepesh and place it in his room on the study table. We will see the difference after a month. It was the month of August. He was supposed to appear for mid-term semesters in September. So, we got a Pagoda Tower and I PROGRAMMED and ENERGISED it for Deepesh. There are no rituals associated with it hence even Deepesh had no objections. To be honest, whatever change had happened, Deepesh’s efforts were majorly responsible. The only thing the Education Tower had done was to build those energies around Deepesh that motivates him to be up for Knowledge and Focus in studies. He had performed pretty well in his semester and score 84% in the boards. Since then Shobha has been recommending all her friends and relatives to have one Pagoda Tower for kids appearing SSC and HSC. This academic year, I have PROGRAMMED and ENERGISED almost 28-30 Education Towers so far. How does Pagoda / Education Tower Works? There are plenty of varieties available in the market, however, Pagoda Tower with 9 levels is recommended to be best and one with 8 levels can be considered equally good as 8 is the number of Knowledge. 9 is a complete number. It signifies plenty, sufficient, enough, ample, etc…. hence considered lucky for Education. Where is the best Place to keep Pagoda / Education Tower? Vastu Education Tower made of Pyramids. The ideal location is the study table of the kids. This is the assumption that the placement of study table is as per the ideal locations of Vastu and Feng Shui principals. If that is not the case, you can read more on the Vastu Tips for Children’s Bedroom and Study Area to get an idea. The Education tower is placed in the NorthEast direction of the Study Table. It can also be placed in the Self-development sector as per Kau Number and Favourable direction for the kid. You can identify your kid’s favourable directions from my article on Lucky Directions for Abundance. Education Tower will help to build high power energy around the kid during studies. This will help the kid to stay focus while studying, give mental peace and motivate for better results. Somebody necessarily lend a hand to make seriously articles I would state. That is the first time I frequented your website page and thus far? I amazed with the research you made to make this particular post amazing. Wonderful job! I simply want to mention I am beginner to blogging and site-building and seriously enjoyed your website. Probably I’m likely to bookmark your blog post . You surely have great writings. Appreciate it for sharing your blog site.